Samantha has grown up in the Real Estate Industry and has a genuine passion for assisting Buyers and Sellers to fulfill their Real Estate dreams. 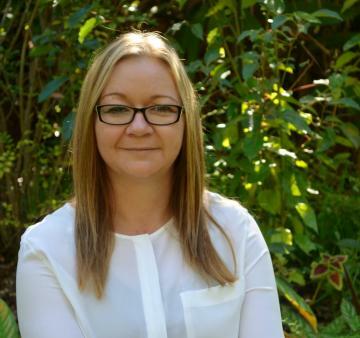 Raising her own family in the Cooroibah area she has local knowledge and a genuine love for the area and the beautiful Sunshine Coast and all its offerings. She is dedicated to her clients and will always give her all when it comes to providing a unique personalized service tailored to each client. Genuine and friendly with great communication skills, Sam thrives on providing service with gratitude and pride evident in her service. Sit back in your lounge and take in the view from this stunning acreage property in Chatsworth Premier Estate. 5185 square metres of all usable country designed to take in the view from the north south and west. Large level house site, concrete driveway, underground power, phone, bitumen road with curb and channel,fenced on two sides . Long established driveway to Large house pad on over 1 1/2 acres of fertile soil with spring fed dam on tree lined creek, some fencing . Power, phone , bitumen road, curb and channel in sort after valley close to school and short drive to town centre. Only $168,000.00 call or email us today . House and Land packages available. Rural living in modern brick home, enjoy the space, quiet and privacy on your own acreage complete with dam and wildlife. "Rural Living or Commercial Potential"
A Place to Call Home . Great Location, make this property your own creation of lake side living and life style.